The new security guard doesn't need sleep. It doesn't need a bathroom break. It won't be distracted by cellphones. It doesn't get tired. It's like RoboCop without the gun. 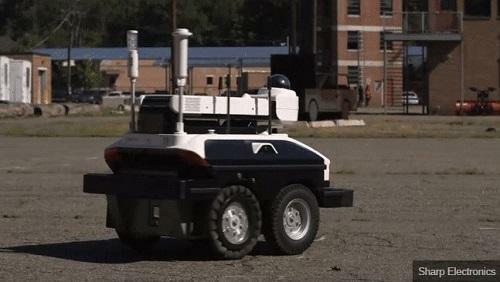 It's autonomous robotic security, and it's going to be used to guard pot farms in California. The first robots are rolling out in the coming months at Southern California marijuana farms in Desert Hot Springs, said Todd Kleperis, the CEO of Hardcar Security, which is leasing the robots to several marijuana farmers in the region.